Welcome to WW1Aces.com, the website of WW1 Aerial Combat. This website is intended as a source of news and information for ww1 enthusiasts. The images of the two WW1 pilots are of German pilot Manfred Albrecht Freiherr von Richthofen and French pilot Rene Paul Fonck. 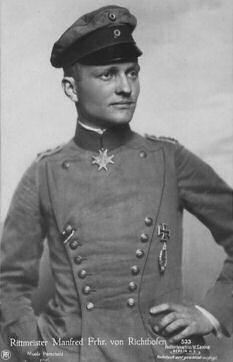 Manfred Albrecht Freiherr von Richthofen (born 2 May 1892 – died 21 April 1918) was a German fighter pilot known as the “Red Baron”. He was the highest scoring flying ace during World War I, being officially credited with 80 confirmed air combat victories. Rene Paul Fonck (born 27 March 1894 – died 18 June 1953) was a French fighter pilot. 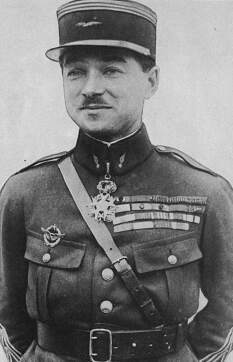 He was the second highest scoring flying ace during World War I with 75 confirmed air combat victories, second only to German pilot Manfred Albrecht Freiherr von Richthofen.